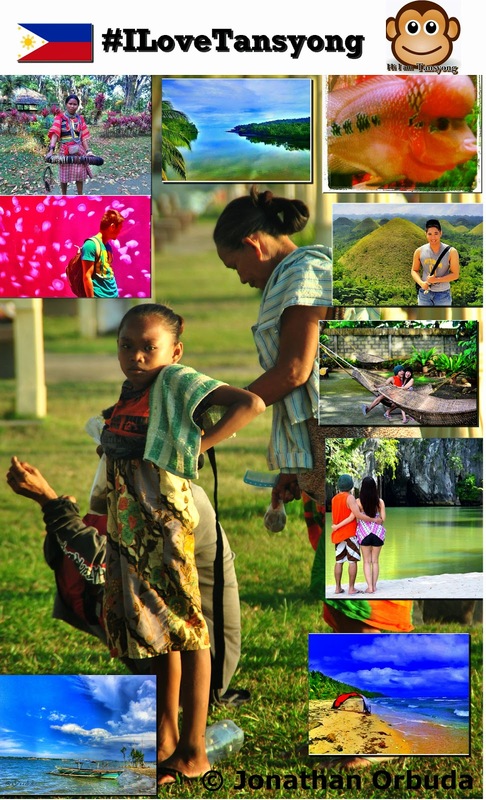 “I Love Tansyong | The Best of Tansyong’s Travel” is inviting everyone interested to post photos, messages and videos on Twitter, Facebook, or Instagram with the unified hashtag #ILoveTansyong. Those sending contributions are asked to explain what makes a venue, place, destinations, foods, hotel and pro- or anti-tourism, so that others may know of these thingy. “The way the Filipino (and/or Filipino at heart) Travelers community - spends plays a crucial role in benefiting businesses that support tourism and place economic pressure on those who continue to love travel,” says Jonathan D. Orbuda, I Love Tansyong’s Founder. In an initiative to support travel bloggers, backpackers, tourists ( local and foreign) ,Department of Tourism and travel photographers- friendly domestic tourism, small and medium enterprises, hang-out/party places in the Philippines, I Love Tansyong has launched “#ILoveTansyong” , a social media initiative to showcase safe spaces and traveler’s friendly establishments and destinations for nomadic Filipinos (foreign ). I Love Tansyong is inviting everyone interested to post photos, messages, links and videos on Twitter, Facebook, or Instagram with the unified hashtag “#ILoveTansyong”. Those sending contributions are asked to explain what makes a venue, place, destinations, foods, hotel and pro- or anti-tourism; so that others may know of these thingy .These will then be featured in the Facebook and Twitter pages and official blog www.ilovetansyong.blogspot.com . Especially in Instagram , your photos that used the unified hashtag will automatically included on the slide located at the upper left side bar of the blog site. Truly, Social Media nowadays supersedes the world of no-boundaries – the World Wide Web. It is also beneficial to those who joined this hashtag because they can gain more followers. You can talk about recent issues and specific topics to drive people into the conversation. Manage the conversation properly and build a name for yourself in your chosen industry or field. Talk about activities or things that personally appeal to you or those which you have a lot of knowledge on. Travelers save time and effort looking for the best sources when others share media content or their original creations like photos and articles. You will have an opportunity to talk to people who also share the same interests and or belong in the same field.